One of Amsterdam’s most popular and important museums is the Anne Frank House. The house is located on the Prinsengracht canal in the centre of Amsterdam. 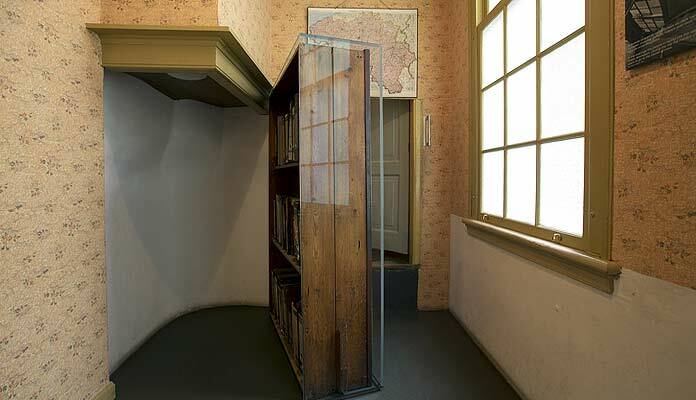 It contains the secret annex where the young girl Anne Frank and seven others hid from German occupation during WW2. It was here that she wrote her world-famous diary. Anne Frank was born in Frankfurt, Germany in 1929. The Frank family moved to Amsterdam, Netherlands in 1933. World War 2 broke out in 1939 and by 1940, the Netherlands found itself under German occupation with the Jewish population experiencing increasing persecution. In July 1942 the Frank family went into hiding in concealed rooms (the secret annex) at Prinsengracht 263 – the building where her father Otto Frank worked. It was here where Anne wrote her diary giving a unique and touching perspective of wartime Amsterdam through the eyes of a teenage girl. After 2 years the family was betrayed and the secret annex was discovered by the Germans. In September 1944 Anne and her sister Margot were taken to Auschwitz-Birkenau and then a few weeks later they were relocated to the Bergen-Belsen concentration camp. They died there of typhus in March 1945. Otto Frank survived the war and returned to Amsterdam. His efforts led to Anne’s diary being published in Dutch as Het Achterhuis in 1947. In 1950 it was translated into French and German and in 1952 came the first English edition entitled The Diary of a Young Girl. It has since been translated into many other languages and the diary has been portrayed in theatre plays and films around the world. In 1957 the Anne Frank Stichting organisation (with close involvement of Otto Frank) was established in order to save the Prinsengracht building which was due for demolition and set up a place where the Anne Frank story and message could be preserved. The Anne Frank House originally opened on 3 May 1960 and over the years attracted a growing number of visitors keen to experience the diary location at first-hand. Between 1999-2001, it subsequently undertook a first major expansion into the adjacent building. Over the last years visitor numbers reached over 1.25 million a year and long queues were commonly seen outside the museum. Two major changes have recently happened. The first is that entrance to the Anne Frank House is now only possible with a pre-purchased online ticket and timeslot. You can no longer buy a ticket at the museum entrance. Tickets must only be used during the timeslot, they are not valid afterwards. Secondly, the museum has been completely renewed following 2 years of work. It was unveiled by King Willem-Alexander in November 2018. It includes a new entrance on Westermarkt and improved educational presentation. A new audio tour is undertaken which provides more historical and chronological context, especially for the younger generation of visitors. The tour is available in 9 languages: Dutch, English, French, German, Hebrew, Italian, Japanese, Portuguese and Spanish. A visit to the Anne Frank House can be poignant, thought-provoking and for some an emotional experience. By each visitor having their own headset, a quieter atmosphere is preserved in the museum. It is suitable for children aged from about 10 years. The Secret Annex at the back of the original house is accessed via a concealed entrance through a bookcase. This part of the house is only sparsely furnished – houses of deported Jews were stripped down with items taken away to Germany. You will see Anne Frank’s room with photos of movie stars and royalty glued on the wall. 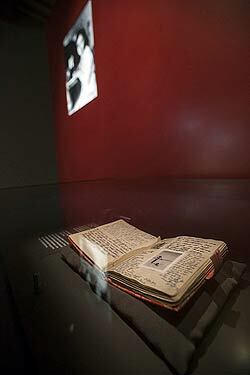 The Diary Room holds Anne’s original red- checked diary plus some of her other manuscripts. 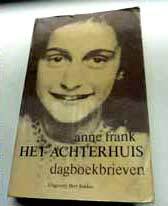 There is also a temporary exhibition space which hosts themed objects from the Anne Frank House collection. The film Reflections shows what Anne Frank’s diary and life story meant to 22 writers, actors, visitors and people who knew Anne. The museum has a shop and café as well. 80% of the online tickets are released 2 months in advance with the remaining 20% going on sale in phases during the day. Tickets sell out quickly! The maximum group size is 14. Tickets are only officially available at the annefrank.org website and there is a €0.50 per ticket fee for all online bookings. Those with a Museumkaart (Dutch Museum Card) which offers free entrance to the museum must still book an online timeslot and pay the booking fee. It is possible to book a 30 minute introductory program (€5, English only) with your ticket before you enter the museum which provides further background. Note, the old part of the original house has very steep staircases and is not accessible for wheelchair users. The modern section of the museum is fully accessible. Nearby is the Westerkerk church tower which has fine views over the house and the city. 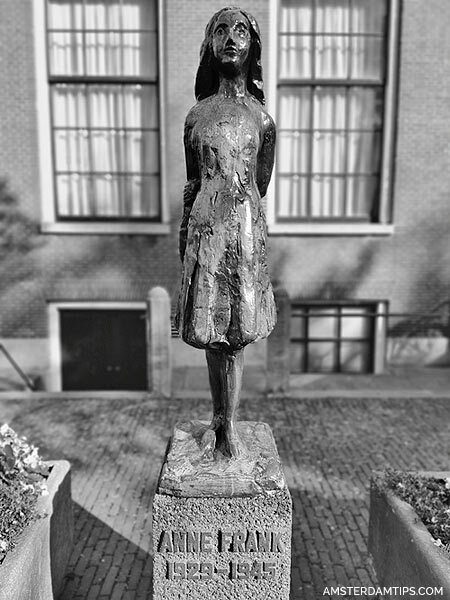 There is a sculpture of Anne Frank on the church square. The Anne Frank House is not only a museum but a memorial to those who perished in World War 2. The renewed museum is a must-see in Amsterdam. Opening Times April to October: daily 0900-2200; November to March: daily 0900-1900, Saturday 0900-2200. Closed on Yom Kippur. Admission Prices (2019) €10 for adults, €5 for children 10-17. Free entry to children 0-9 and Museumkaart holders. Tickets must be pre-booked online with a time-slot, €0.50 booking fee per ticket. Tickets are non-exchangeable and non-refundable. Note, Iamsterdam City Card holders and students receive no discount. Getting There The Anne Frank House can be reached on foot from Central Station in 15-20 minutes. From Dam Square head west along Raadhuisstraat towards Westermarkt. Trams 13 and 17 stop at Westermarkt. Then turn right (north) onto Prinsengracht and walk up one block.